File-sharing website MegaUpload has been swept up in so much drama lately it is beginning to rival a soap opera. The frequent developments in the online piracy case may be hard to keep up with. So, here's a roundup. On January 19, the U.S. Justice Department and FBI shuttered MegaUpload and had the company’s founder and other executives arrested in New Zealand for "massive worldwide online piracy." Founder Kim Dotcom and three others appeared in court Friday and were denied bail. 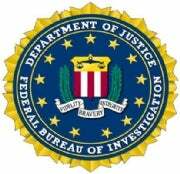 The hacker group Anonymous retaliated for the arrests by claiming responsibility for taking down websites run by Universal Music, the U.S. Justice Department, and the Recording Industry Association of America. At the same time, bad guys were trying to take advantage of the situation by creating fake MegaUpload sites so they could phish people. 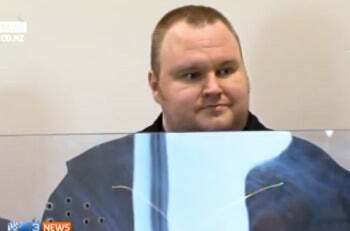 Dotcom, also known as Kim Schmitz and Kim Tim Jim Investor, spent his 38th birthday on Saturday in a New Zealand jail. But he didn't go quietly. Details of his arrest are now coming out. Apparently, it was a dramatic, high-tech stand-off when dozens of New Zealand police backed by helicopters swarmed Dotcom's barricaded mansion to arrest him on Friday. Dotcom refused them entry and police had to cut their way through electronic locks to a safe room, where they discovered him with a sawed-off shotgun. "Despite our staff clearly identifying themselves, Mr Dotcom retreated into the house and activated a number of electronic-locking mechanisms," Detective Inspector Grant Wormald from the Organised and Financial Crime Agency New Zealand told Reuters. With Dotcom in cuffs, officers then began seizing things -- two guns, computers, documents, and vehicles -- lots of them. Personalized license plates on 20 or so seized vehicles include KIMCOM, HACKER, STONED, GUILTY, MAFIA, GOD and POLICE. You wouldn't think it a believable story, but it turns out there were weird nuggets underlying The New York Post's claim that musician and producer Swizz Beatz was CEO of MegaUpload. However, the top lawyer for MegaUpload now says that Beatz was never officially the company's chief executive, reports VentureBeat. "To my knowledge, Swizz Beatz was never involved in any meaningful way," MegaUpload attorney Ira Rothken said, adding, remarkably, that "he was negotiating to become the CEO, but it was never official." Beatz's publicist had earlier said Beatz was the CEO. Beatz was also briefly listed as CEO on MegaUpload.com. Media companies say the legitimate uses of sites like MegaUpload are a veil concealing extensive theft but that doesn’t stop big-time stars, including Beatz’s wife, R&B singer Alicia Keys, from promoting it. Check out this video, which the Universal Music Group had the video taken down from YouTube, despite having no claim to the content. It has since been reinstated.